The C6 Corvette races past the competition with a technically-sophisticated interior and sleek exterior. 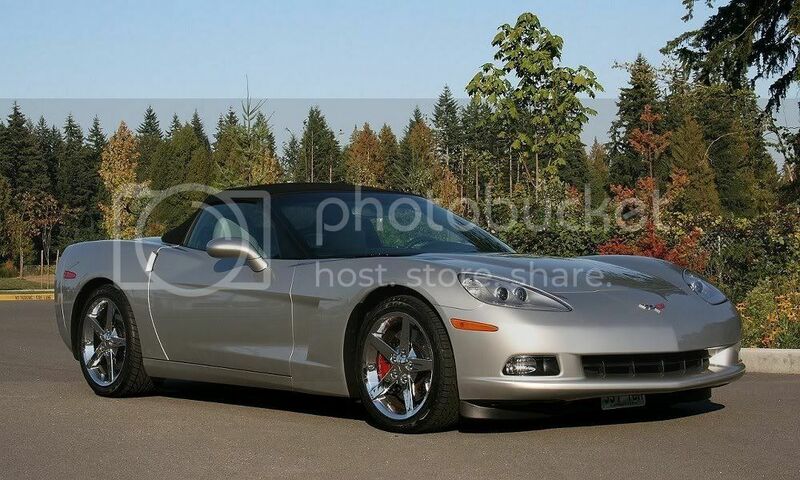 This article applies to the C6 Corvette (2005-2013). While general routine maintenance is important for any vehicle, it is especially important for a high-performance sports vehicle such as the C6 Corvette. Manufactured for technical sophistication and high-speed performance, the C6 offers power, precision and speed (on and off the track), while maintaining the car's agility and overall muscular style. Performance enthusiasts will appreciate a number of new features, as well as benefit from a number of capabilities that set the car apart from its predecessors. Although the C6 is approximately five inches shorter and one inch narrower than the C5, this sixth generation sports car achieves agility and performance on both the street and track. Boasting excellent aerodynamics, the C6 features a muscular form with anti-lift characteristics and high-speed stability. Figure 1. The C6 features a lean, muscular body that packs a punch on the road and track. Corvette enthusiasts will immediately notice that the C6 includes larger wheels (18-inches in the front and 19-inches in the rear) with a tapered rear deck and fascia for high-speed performance on and off the track. Figure 2. The C6 includes larger wheels on the front and rear of the vehicle. The C6 includes a powerful LS2 6.0-liter small-block V-8 engine, which reaches peak output levels of 400 horsepower. Other aggressive additions to the sixth generation vehicle include improved shifting characteristics for stronger performance and new synchronizers for shorter travel time. Figure 3. The C6 includes a powerful small-block engine that promises high-speed performance. Intervals for replacing wear items vary depending on how you use the vehicle. 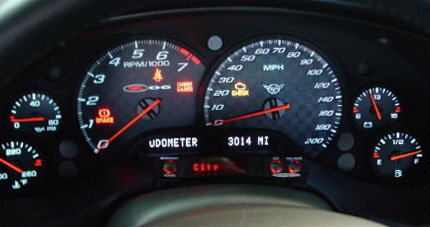 Dashboard lights will alert you to symptoms of poor performance, such as low to no fluids or system failure. Change air filters and radiator coolant every five years or 50,000 miles and spark plugs every 100,000 miles. If your vehicle sees extreme use, such as high speeds on the track or heavy breaking, you'll want to service the vehicle more frequently. Figure 4. Keep an eye out for warning lights on the dash. Reports of lights flickering and other electrical failures. Some vehicle owners have reported lights flickering or not working properly, which is commonly the result of extreme use. In the case of headlight failure, check the connector under the steering wheel that runs to the headlight switch. The most common problem is a melted pin. Air conditioner blows hot air. The A/C refrigerant pressure sensor is probably damaged or needs to be reset by your mechanic. Have the mechanic check the A/C disengage history. Breaks periodically squeal and/or yield mechanical noise. Mostly common in cold or wet conditions, you might want to invest in brake pads that have anti-squeal shims to reduce periodic squealing and other mechanical noise. What is the biggest difference in the drive of the C6 to the C5? The biggest difference you'll notice is the shifter knob, which is an inch shorter and redesigned to improve how you handle and operate the vehicle across different environs, particularly a tough stretch of track. How does the C6 handle on the race track? The C6 is built to perform in virtually any environment, including the race track. With improved high-speed stability, the C6 can reach top speeds on the track, while maintaining agility and performance. What is the combined MPG? The C6 yields 22.6 MPG combined city/highway. This data can be found on the NHTSA website.